FakePhoneText is an online tool used to create realistic-looking, yet fake texts. Pull a prank or fools your friends—there’s not limit to the jokes you can make with this text generator and it couldn’t be easier to use. The template is in place, all you have to do is fill it in. 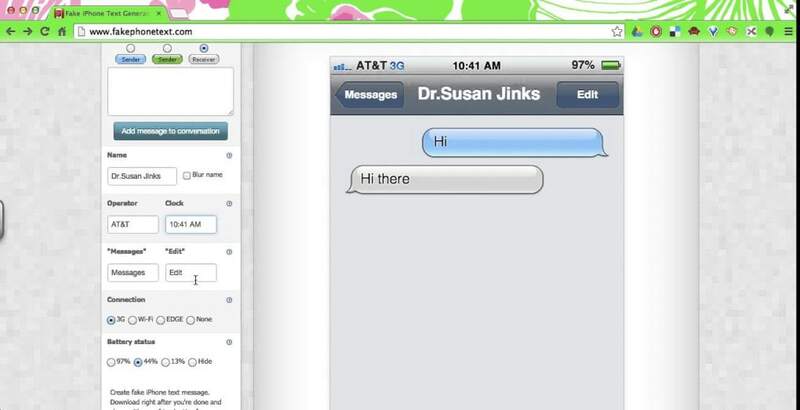 Choose text bubble colours, add your text message material, create user names and more. Even minor details that you may not think about are included. Pick the carrier of your choice, the clock time, connection speed and even battery status for truly realistic text. What do you think about FakePhoneText? Do you recommend it? Why?